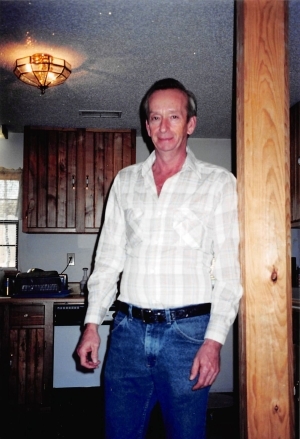 HENRY LEE LANKFORD, age 70 of Riceville, Tenn. passed away Monday, August 13, 2018. A native of Englewood and current resident of Riceville, he was a son of the late Marshall and Polly Ann Russell Lankford, and was preceded in death by 4 brothers; Bob Lankford, Buddy Lankford, Billy Lankford, Larry Lankford, and 1 sister, Bernice Conine. He was a hardworking faith based man who attended Mt. Harmony Baptist Church, loved his family, being outdoors and was employed doing the things that he loved, building houses, owning and maintaining bowling allys and restoring antique cars. 2 grandchildren, Mallory England and Emily Lankford. Funeral services will be 12:00 Noon, Wednesday, August 15, 2018 in the chapel of Laycock-Hobbs Funeral Home with Rev. Garry King and Mike Wright officiating. Interment will follow in Cedar Grove Cemetery. Active pallbearers will be Jon Doliana, Ryan Edwards, Gerald Barber, Billy Lankford, Mark Lankford and Danny Lankford. The family will receive friends from 10-12 Noon, Wednesday prior to the service at the funeral home. Those unable to attend may send condolences to www.laycockhobbs.com/notices/Henry-Lankford. Laycock-Hobbs Funeral Home in Athens is in charge of the arrangments.